Let National Charter Bus streamline transportation during your next corporate trip in Orlando. We’ll find your business group the perfect transportation for your travels around central Florida. Whether you’re traveling in the area for a major business meeting, conference, or tradeshow, we’ll get your group in the most suitable charter bus. Our rental experts are available around the clock to assist you in booking your business shuttles. Give us a call at 407-274-9782 to get a free quote! National Charter Bus services corporate events in cities across the United States. We work with professional bus providers across the nation to provide high-quality ground transportation services into, out of, and around Orlando. Rather than renting multiple small vehicles, a charter bus will serve as a time- and space-efficient option to shuttle employees and colleagues. Guests can sit back and keep their minds on business ventures rather than navigating an unknown city. 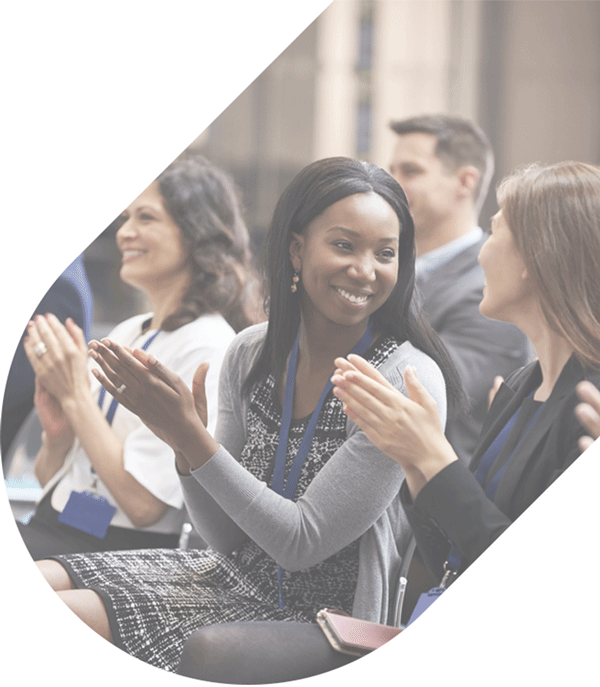 Don’t worry about navigating unfamiliar roads in Orlando-- leave the driving to a professional while you focus on hosting an unforgettable corporate event. The buses in our network include modern and luxury models to transport employees of large corporations and small businesses alike. We have access to various models of full-sized motorcoaches and minibuses that can comfortably accommodate groups of any size. Easily shuttle everyone arriving into Orlando International Airport to hotels or conference centers. Your colleagues can enjoy travels in a charter bus outfitted with additional amenities like WiFi, power outlets, extensive legroom, and more. Planning a large-scale corporate event in Orlando? Schedule a reliable, efficient shuttle service with the help of National Charter Bus. 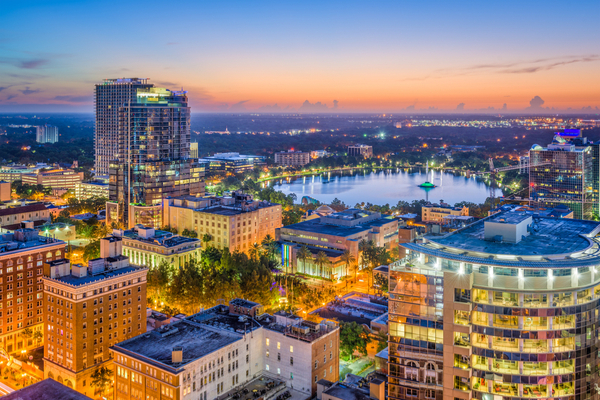 As a growing city filled with locals and plenty of tourists, traversing the Orlando roads can be hectic; however, a private shuttle makes it easy for attendees from out-of-town to travel without stress and arrive at each event on time. Shuttle event attendees from their hotel to the local Orange County Convention Center. Your shuttle will service your group exclusively and will follow your pre-determined schedule, providing a safe and reliable transportation source for your attendees. No one will need to worry about finding parking, navigating to the convention center, or getting back to the hotel after an after-hours celebration. Attendees can also travel as a unit on one vehicle, making it less likely that some will end up lost in Orlando while an important meeting is starting. Treat your employees to a day out at Disney World, Universal Orlando, or your favorite local Orlando restaurant. Instead of relying on rideshare services or public transportation, let us help transport everyone from your office to your destination, no matter how far you have to travel. Count on us for a smooth and seamless day out of the office with your team members. Our services span across most major cities in the country. Whether you’re a local group planning an outing around Orlando or an out-of-town group traveling for an event, we’ll make sure everyone arrives safely. Large business groups traveling from other cities can charter a full-sized motorcoach to cross state lines. Travel to Orlando from Tampa, Miami, Atlanta, and beyond with National Charter Bus. Ready to book transportation for your next major business trip? We’ll help you step-by-step in the rental process to find the best bus and professional driver for your trip to Orlando. Our rental experts will get you a free, personalized quote based on your itinerary. Call us today at 407-274-9782 to chat with a National Charter Bus representative!